These friendly critters are on set and are just waiting for you to make a mistake during your big break. This uk slots 5 reels is based on the movies, and not the actors, the sound men, the people behind the scenes, except they aren’t people they’re little alien creatures. Spin the reel on this contemporary 5 reel and watch the Wilds and Scatter symbols fall into place as you earn some enticing cash rewards, read more! This astonishing game is designed by Elk Studios, the Swedish gaming development studio that is very well known for their philosophy of delivering high-quality digital games to the online casino market, focusing more on quality rather than quantity. That’s how Scandinavians to the job! So why won’t you enjoy yourself with a spin on this amazing Hollywood-themed slots game from Elk Studios and see the amazing work they’ve done on this one. Click here for some awesome slot promotions. Time to glow on the red carpet with this amazing Hollywood-themed game! Benefiting from fully 3D graphics and animations, accompanied by an amazing audio experience, this game delivers one of the best atmospheres ever. You just feel like you are part of it, alongside the main characters of the game, a James Bond-ish hunk and his hot as hell blonde lady. We find the film-band designed reels, uniquely blended on a background that shows a specific Hollywood set, managing to engage the whole elements on the same theme, something that shows how things should be done when it comes to designing something for the user. This one is for you! That’s not all because you are the star in this game! You are going to be assisted by the whole staff and cast, including a film cutter, a brave stuntman, a make-up artist, a sound engineer and a jet-pack-equipped director that supervises everything from above. All of these guys are here to get you amazing prizes on this 5x3 reels/row slots machine game. 100% Chances of winning? Even more, you have 243 ways of winning on this one, with amazing bonuses such as free spins and bloopers bonus, that can give you the chance to get yourself amazing prizes up to 1,850x times your stake. 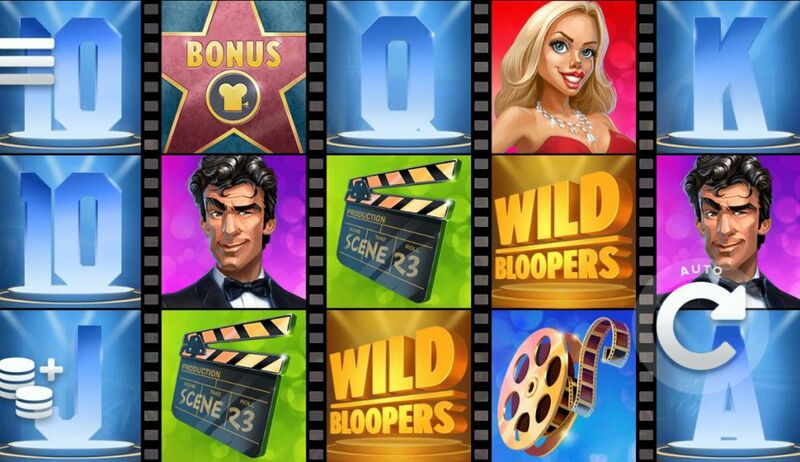 Land 3 or more Hollywood stars and you’ll trigger the free spins bonus feature of this game. Focus on the middle! Getting the handsome guy or the hot lady on those central reels and they’ll turn into sticky wilds. Remember the brave stuntman? He can get you a whopping series of expanding wilds. Hitting the jack symbol in the free spins feature can trigger the green cutter blooper that will get you spinning symbols. The make-up artist is also on your side, represented by the queen symbol, that can bring you free spins. More than that, the king symbol can bring you the advantage of symbol shuffles. Since all the team is on your side, the sound technician will also get you fantastic wilds, selected randomly. Entertainment is guaranteed on this amazing Hollywood-themed slots machine game from Elk Studios. With a unique atmosphere, an amazingly designed interface and a simple, yet fun gameplay, this title is one of our favorites when it comes to user satisfaction. This easy game is made for you to star in! Win more than a Hollywood star with this one! 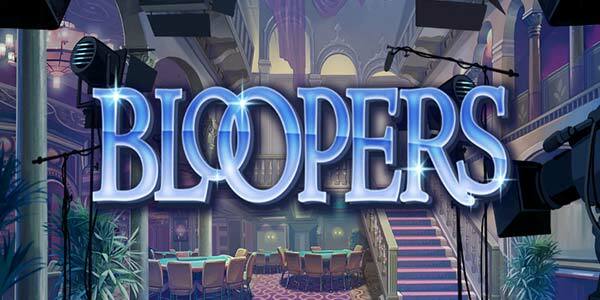 We're sure you'll fall in love with this online slot games.